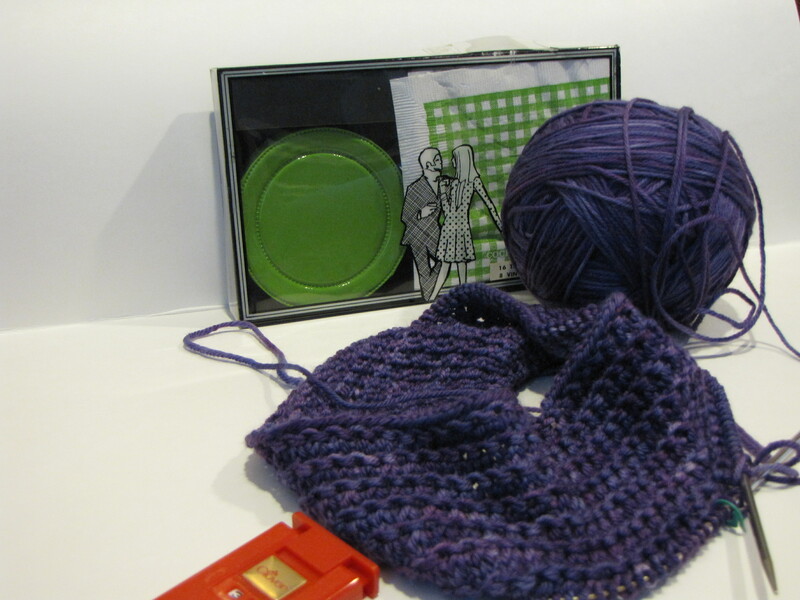 Mad Men and the Retro of Knitting | Knit Like You Mean It. The Ingenue Pattern, by Wendy Bernard, goes great with these vintage cocktail napkins. I held out as long as I could. As Mad Men fever swept the nation, I resisted and resisted. I had watched the first few episodes with my husband, and I felt so sorry for poor Peggy Olson the secretary and Betty Draper the housewife…they were so trapped. I was certain they’d be trapped in the world of the late 1950s forever. It was deeply depressing, I told Mr. Trask (perhaps with the back of my hand to my forehead, in despair): women had no choices back then. I thought of my mother, who was a teenager in 1959. I thought of my grandmother, who grew up on a farm in Oklahoma during the Great Depression, then taught in a one-room schoolhouse. It’s too awful, I told him, and I stopped watching. Two years later, color me wrong. I dove into the series again this summer, after recommendations from one too many people whose taste I respect (including, yes, Mr. Trask). I am about to start Season Four, and those of you who have seen Season Three know: it’s not nearly as simple as I thought it was. I should have known it wasn’t so simple: my mother grew up and moved to Washington, D.C., from Oklahoma, and in the 1960s she was one of the first women hired by IBM in a non-secretarial role. Before her, my grandmother had been one of the first women in her family to go to college, and in her 60s (after my grandfather’s death) she traveled all over the world. She lived until she was 96, and was clear-headed until the end. There’s been some discussion of how Mad Men appeals to our nostalgia for a past era, for a time when the country was a bit more starry-eyed than we are today. Certainly, that’s part of it. The beautiful dresses, the classic cars, the glitz of New York in the late 50s and early 60s are awfully appealing. And that’s part of what I love about knitting, too: reaching back to a bygone time, to a simpler (and yet more difficult!) way of getting clothes on our back, to times when women knit for themselves, for their families, and even for strangers. But, for me, Mad Men is also fascinating for the flip side. I think some of us watch Peggy Olson going to an artsy party downtown and think: she’d be in her 70s or perhaps 80s now, but look how edgy she was back then! I think it reminds us of all our grandparents (even if they grew up long before Peggy did) and reminds us that somewhere, sometime, they were young and foolish like we are — they might even have been young and rebellious. Who knows? To me, it’s not just that they were young once; it’s also that we’ll be old one day. No matter how bright and new and modern everything seems right now, someday, if I’m lucky, I’ll be telling someone 50 years younger than I am just how it was, back in the oughts or the tens of the new century. I’ll tell them where I was when Barack Obama was elected, where I was on 9/11, what it was like to only have a telephone in your house (or, my freshman year in college, only one for the whole hall of a dorm). And that’s true for knitting, too. It’s not just that I’m reaching back to history: I’m reaching forward, too, leaving garments behind for later generations, teaching the knit stitch to someone much younger than I am. It’s all a continuum. In honor of that, I’m knitting the Ingenue Sweater (rav link) by Wendy of Knit and Tonic (now there’s a knitting blog Don Draper could get behind). Pick up the remote, tune to AMC (thanks for the correction, Chloe! ), and join me. Love the post (and Mad Men, and that gorgeous sweater). I look forward to telling my nephews about growing up in a house with one phone – and it was attached to the kitchen wall. I thought I was the only holdout. I guess I need to break down and watch it then especially since my husband is in Afghanistan. I knitted another hat…free form…invented my own pattern loosely based on Maggie’s. I think Mad Men is on AMC and I’m a fan too. Ergh! You’re so right. What a dope I am. Correcting it now. Great post. I was looking for a Mad Men inspired knit and found your blog. Looking forward to keeping up. Hey, thanks! 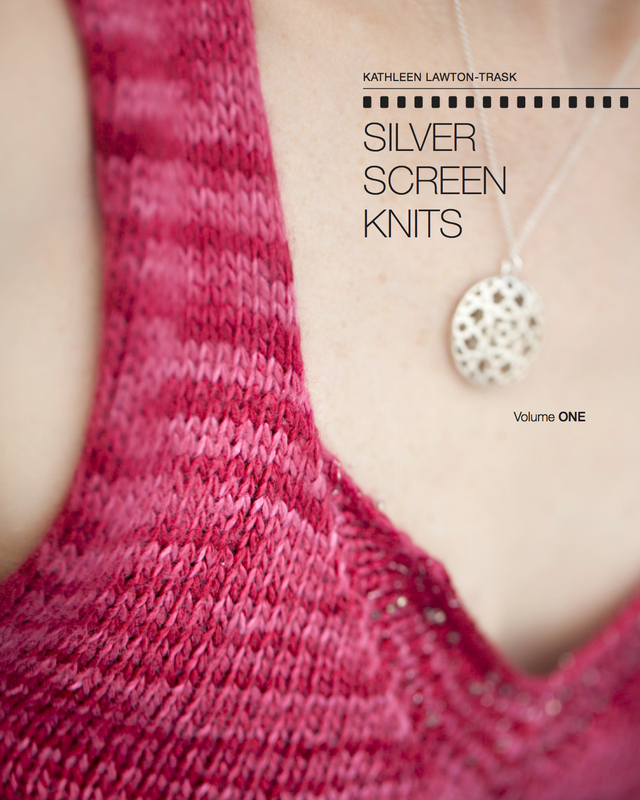 Ingenue feels very Mad Men to me, and so do some of Wendy’s other designs in Custom Knits. Let us know what you find!